Many food banks and food pantries are in the Florence evacuation zones and have closed. (CNN) — Traditionally, fall is low season for food banks across the country. They usually see a surge in demand during the summer months, which depletes their stocks. “We’re in that down mode and (then) we get hit with a storm like this,” said Shari Waters, who works with Harvest Hope Food Bank. Donations are coming in, but they won’t fill the need for all the food the center will be providing. “What we have in our warehouse right now after this storm will probably only last two days,” she said. 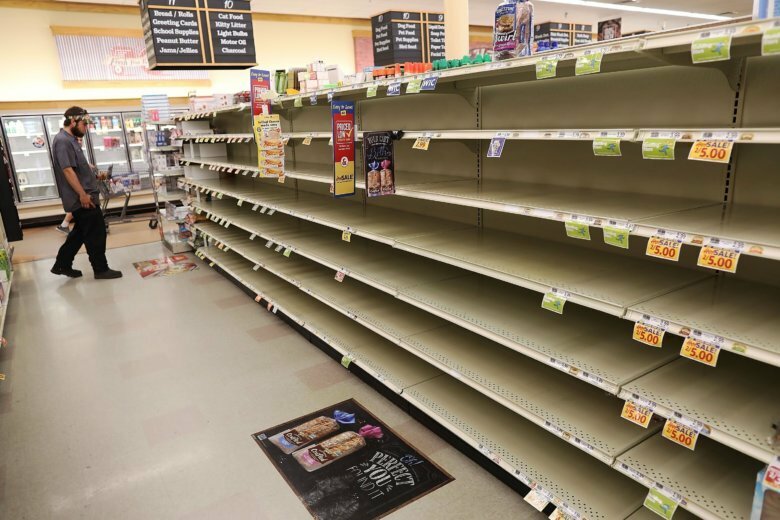 “What most people don’t understand with food banks is that we’re not just dealing with this disaster, we’re dealing with another three from previous years,” said Mary Louise Resch, spokeswoman for Feeding the Carolinas, a network of nine food banks.